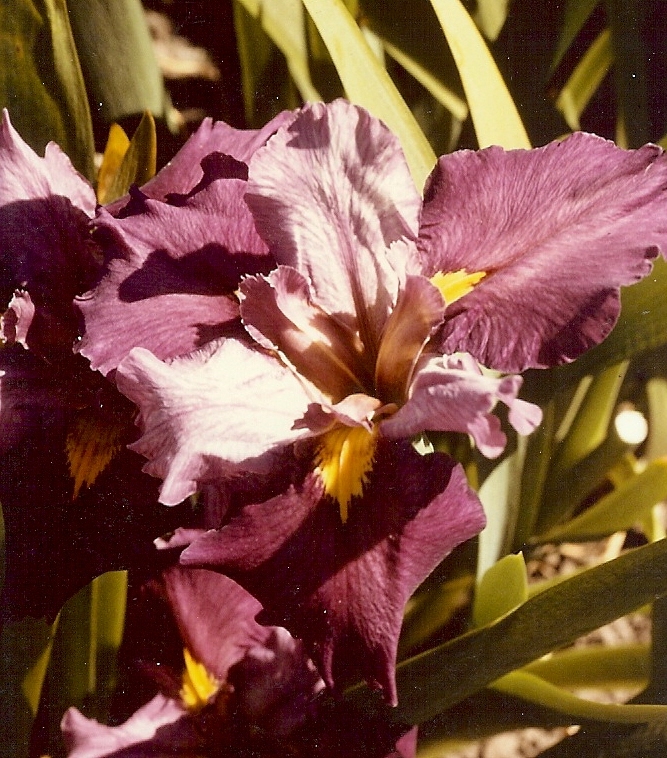 'Beauregard' ( Mary Dunn, R. 1985). Seedling 70-1. LA, 28" (71 cm), Midseason bloom. Standards rosy mauve; Falls rosy magenta, small spear-shaped yellow signal; ruffled. 'Mary's Charlie' X 'Ann Chowning'. Bay View Gardens 1986.